Have you ever shown your vulnerability at work? Yikes it’s a scary thought! However, when people share their vulnerability, it tends to break down barriers, shows a more human side and people are more likely to trust you and connect with you. Showing a vulnerability demonstrates honesty and openness and displays trust in one another. Now let’s put a little bit of context around this. We are not talking about you declaring to the world you can’t do your job, that is perhaps making you a little too vulnerable! We are talking about a level of vulnerability that says, “do you know what, I am aware that XYZ isn’t my strong point, but I am working on it”. Your reaction to this is likely be one of support or encouragement (one would imagine). 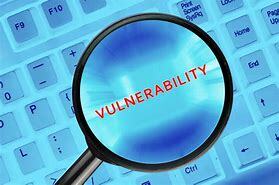 We have personal experience of working with someone who showed not one inch of vulnerability. It was fascinating to watch the group interact with this infallible person. They actively started to sabotage him to affect his performance! Why? Because they could not connect with him and he became an outsider to the group and the groups goals. If you show some vulnerability, particularly as a leader, it is highly likely that you will encourage others to do the same (provided there are no detrimental consequences to doing so). When the whole team can operate in this manner then the trust you have within the team will be a real strength for you to draw upon to and help your team become a high performing one. •	Are you aware of your strengths and your areas of development? •	Have you shared these with others and shown your vulnerabilities? •	Is a lack of trust affecting your team’s performance? We have a range of tools that can help you develop in this area from Disc 363 which provides you with feedback on your strengths and development areas through to employee engagement surveys that can identify trust levels in your organisation. If you would like to explore this area further why not call us on 01904 628838 for a chat.